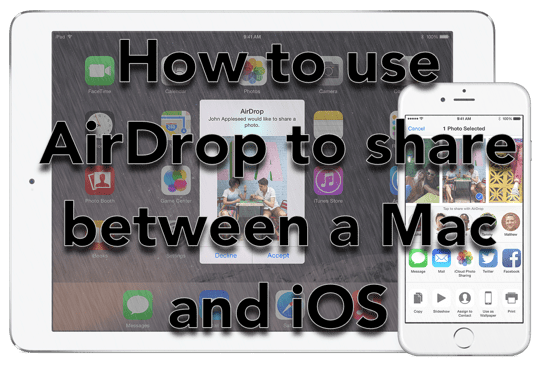 Sharing files between your iDevice and your Mac is easy with AirDrop–once you set it up correctly. Unfortunately, that’s not as simple of a task as Apple users are used to–it doesn’t “just work” from day 1. 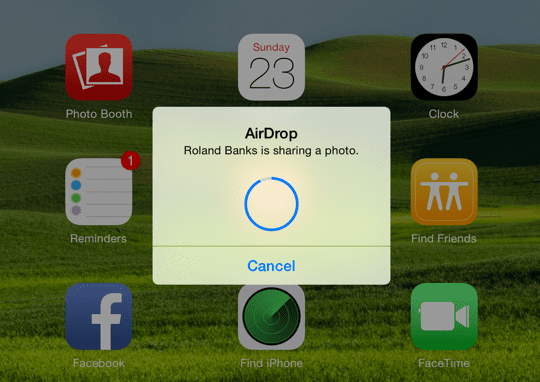 So today, we’re outlining the steps to get AirDrop working for all your devices. So let’s learn how to AirDrop today! 3.5 Having Trouble with AirDrop on Your Mac? 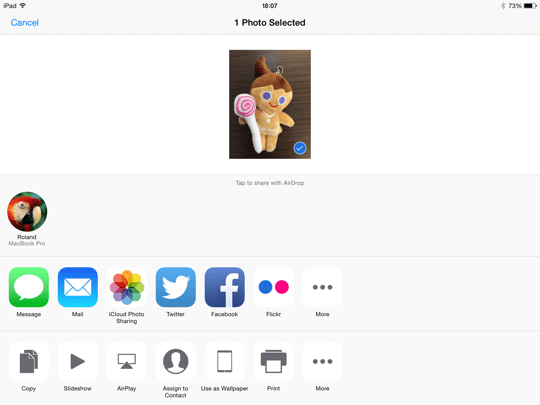 4 Want to send a file from your Mac to your iPhone or another iDevice? 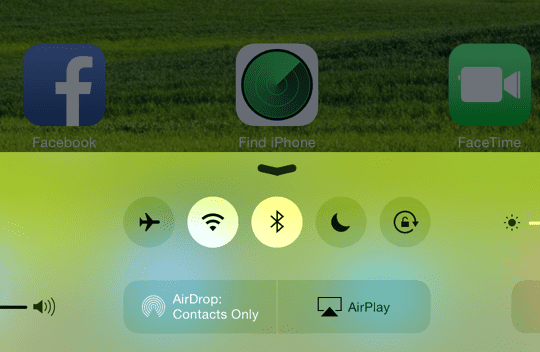 Where’s AirDrop in iOS 11? We Found it and more! Apple introduced AirDrop to the Mac in OS X Lion, as an easy way to share files between computers without having to use email or even a USB drive. It makes sending files between devices extremely quick and simple. 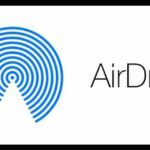 AirDrop was also available on iOS from iOS 7 but unfortunately wasn’t compatible with OS X. Thankfully, with OS X Yosemite and all subsequent OS X and macOS releases, Apple designed AirDrop to work between all of its devices. On a Mac, you can either drag and drop files to an iOS device or use the Share button which is available in certain applications (such as Safari, Preview, and Pages). On iOS, you only need to tap the Share button from relevant apps. 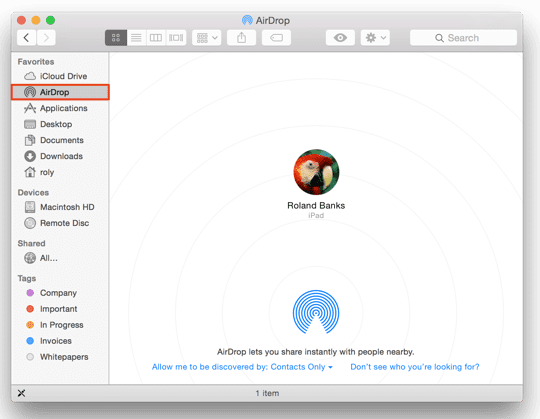 Even though AirDrop is simple to use, there are a few things to check before you start. Note: it is not necessary to use the same iCloud account on each device, but by doing so you won’t have to approve every file transfer. The devices also need to be within a range of each other to use Bluetooth – usually around 30 meters or so. Also if your device is locked, AirDrop won’t work because the device won’t even appear on the list. Turn on Bluetooth on both devices. The quickest way on your iPhone is to swipe up to open Control Centre and tap the Bluetooth icon. On your Mac, Bluetooth is typically found on the top right of your menu bar, where you can turn it on or off. If you don’t see it, check System Preferences > Bluetooth and ensure you check Show Bluetooth in the menu bar. However, if you’re having problems getting AirDrop to work on your Mac, change this setting to Everyone. Our readers tell us this often solves their problems when AirDropping files to their Macs! Choose who you want to use AirDrop with. 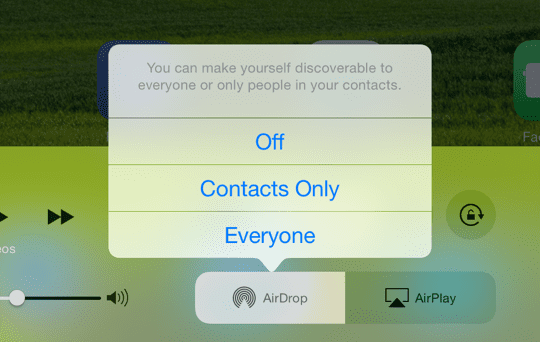 Once you have chosen the relevant AirDrop option, you’ll notice the status shown in the Control Centre, as below. If using AirDrop in iOS 11 and above, tap the network tile in Control Center to see your AirDrop information. AirDrop has been turned on and ready to use. You can also check that your iOS device appears in the Finder on your Mac. 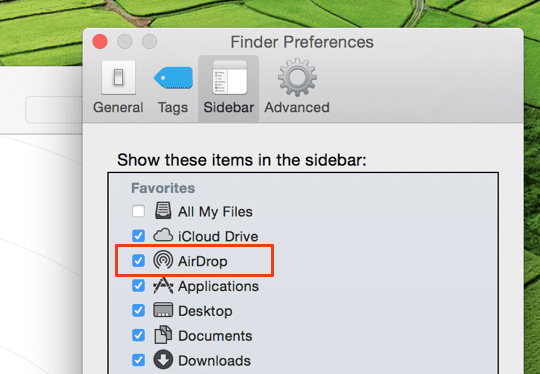 Open Finder and select AirDrop from the Sidebar. The list of available devices within range should appear in the main window. AirDrop has been successfully activated on the iOS device. Or, control who you allow your Mac to be visible to using AirDrop in this window. As shown in the screenshot above, select the desired option from the blue dropdown list displayed in the main window. If you don’t see who you expect, choose the second option, and you’ll have the option to search for an older Mac that doesn’t support the latest version of AirDrop. 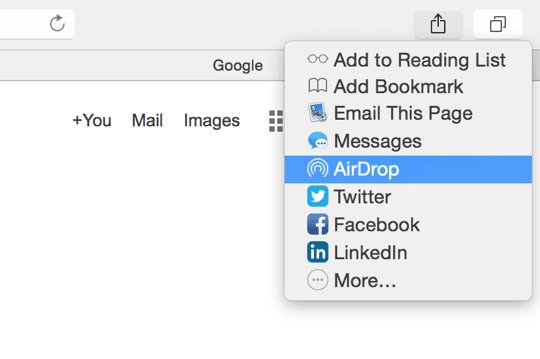 Your Mac appears in the sharing options if AirDrop is appropriately enabled. Next up on your iOS device, tap on your Mac to start sending the file. On your Mac, you should also see a notification slide in from the right of the screen, as below. 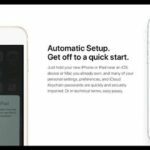 If you are signed into the same iCloud account, you won’t need to approve the file transfer – it will just transfer automatically and is saved in your Downloads folder. 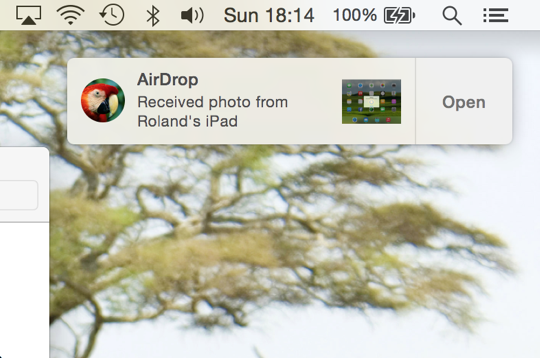 Your Mac notifies you when an AirDrop transfer has taken place. 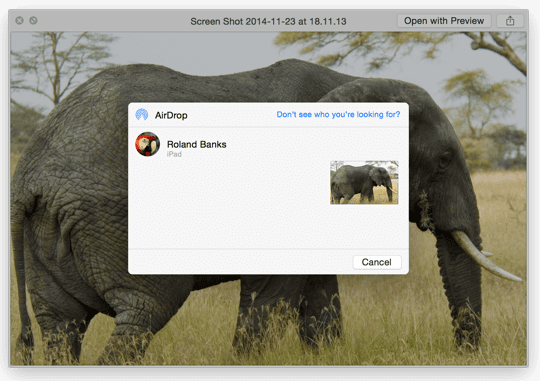 Many of Mac’s built-in applications allow you to send files using AirDrop. 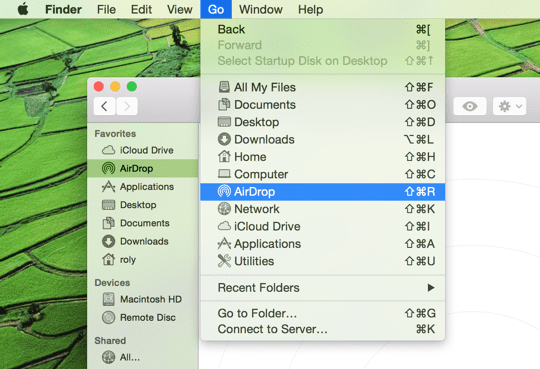 Having Trouble with AirDrop on Your Mac? 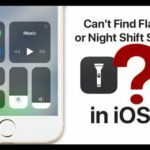 Some of our readers discovered that even with Bluetooth enabled on both devices; they had to open their Mac’s Bluetooth Preferences (System Preferences > Bluetooth or via the Bluetooth icon in the top Menu Bar) for their iPhones and iPads to see it. So give this tip a try if you’re having issues connecting with AirDrop! Want to send a file from your Mac to your iPhone or another iDevice? 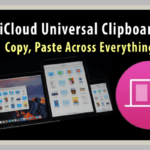 In this step, we perform the reverse – i.e., send a file from the Mac to the iPad. Just choose an item to share and drag it onto the AirDrop window in Finder, or choose AirDrop from the Share menu from an application. 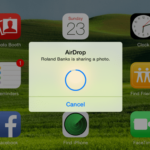 In this example, I preview a screenshot, selected the Share button and clicked on AirDrop. Share almost any file between your Mac and iOS device. You can choose to accept or decline files sent from nearby Macs. Easily see when a file transfer is taking place (and the progress). Reality check! When I am in a rush to send files between my iPhone/iPad and my Mac (or vice-versa), I use iMessage and text it–so fast! And it works when sending to yourself or another Apple ID too! For folks with older Macs like me, look for an all too tiny phrase at the bottom of your Mac’s AirDrop finder window “Connect to an Older Mac.” Clicking this allows discovery of older Macs (when trying to do Mac to Mac AirDrop transfers), so you can AirDrop between older Macs too! Don’t connect your iMac via ethernet–you can’t AirDrop files from your Mac to your iPhone without WiFi! Interesting, you still can send files from your iPhone to your Mac–go figure! That’s really all there is to using AirDrop. Of course, you can still use it to transfer files just between iOS devices, but it’s really great to be able to share files quickly and easily with a Mac. Personally, I use it all the time because it takes just a few clicks and it’s done! 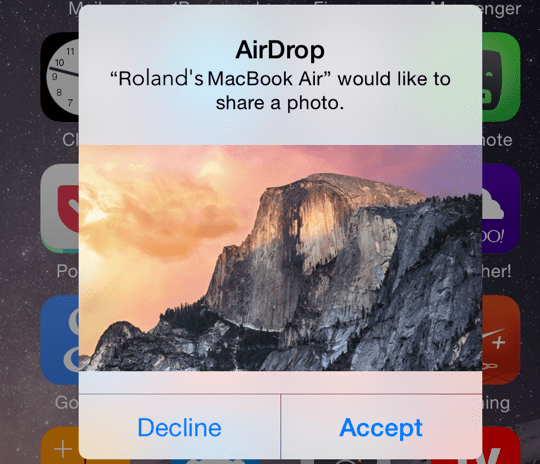 AirDrop creates an ad-hoc WiFi network between devices to send files. 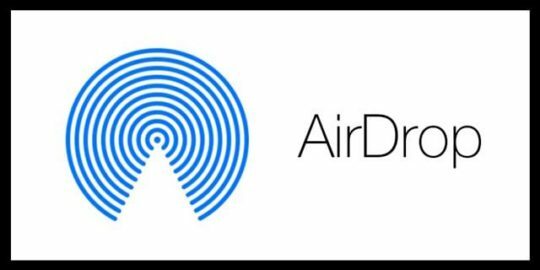 Apple designed AirDrop to bypass traditional WiFi networks. BUT, you still need both WiFi and Bluetooth enabled, although technically you do not need to be on a WiFi network. You should even be able to AirDrop between two devices without an active WiFi network, so why not give it a try! A small number of users have reported problems with AirDrop on various Macs, so there are lots of troubleshooting resources available on AppleToolBox support pages and forums.